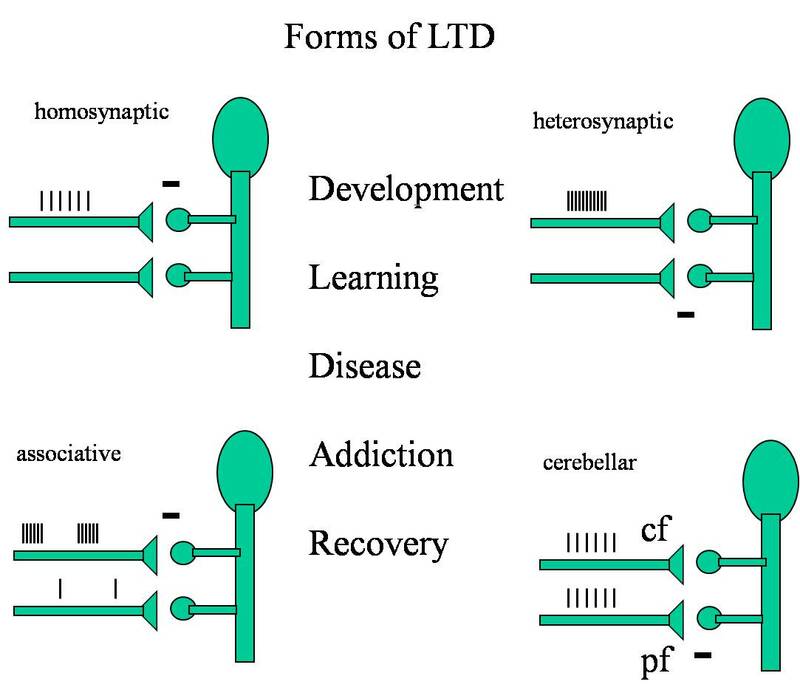 Synaptic plasticity Note on LTD, created by Cher Bachar on 05/07/2013. Figure 10–18. 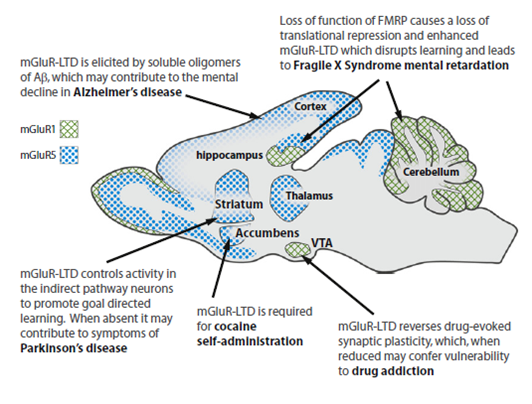 Mechanisms involved in the induction of LTD. A. NMDA receptor-dependent LTD. 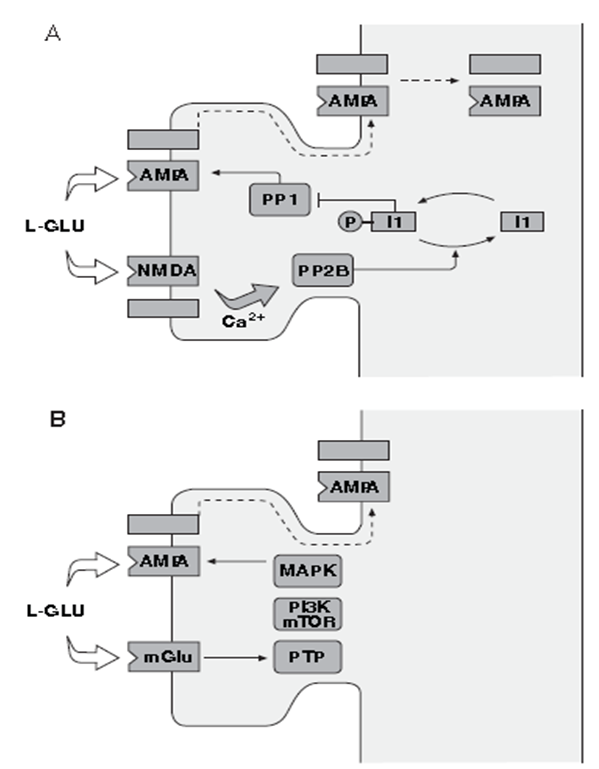 The entry of Ca2 via NMDA receptors leads to activation of calcineurin (PP2B). This inhibits inhibitor-1 (I1), which in turn results in activation of protein phosphatase 1 (PP1). This leads to the internalization of AMPARs, probably after they have moved laterally away from the synapse. B. mGluR-dependent LTD. Activation of mGlu receptors, in particular mGlu5, also leads to removal of AMPARs from synapses. Here the signaling mechanisms involve protein tyrosine phosphatases (PTPs), mTOR, P13K and MAPKs. How these enzymes interact is not known. See text for further details.